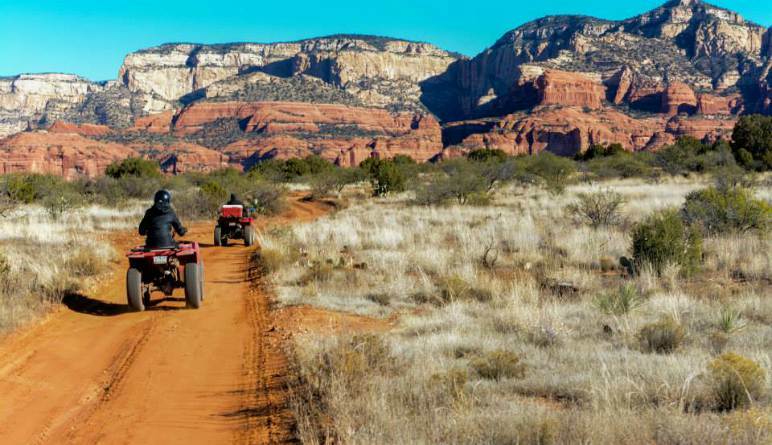 Cruise through Sedona's adventurous valley trails on your own ATV for 3 hours with amazing views of Arizona's unique terrain and exciting off road driving action. 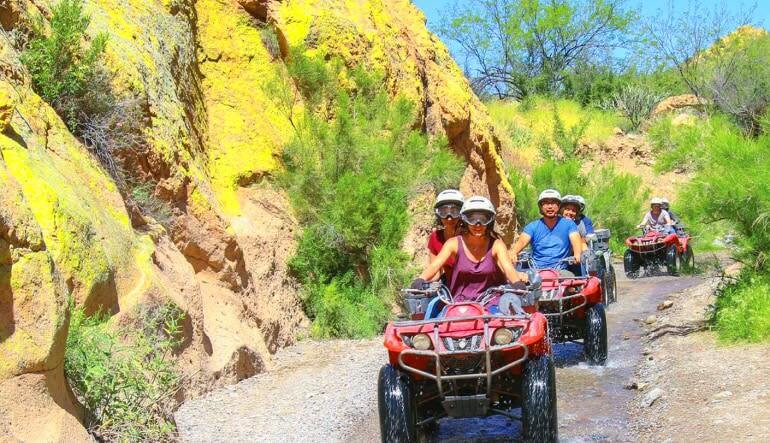 Your 30 mile tour will begin once you are shuttled to the trail head where your personal ATV and expert trail guide will be waiting to take you on your adventure. 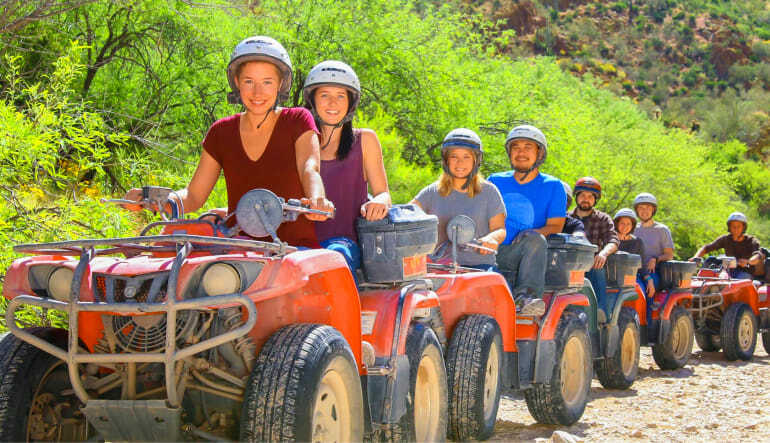 If you have never driven an ATV before have no worries as you will be properly trained on how to handle the vehicle in off road conditions. 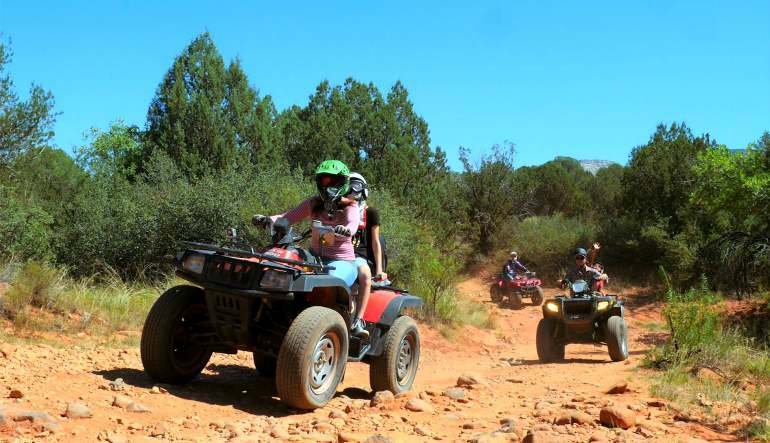 The only guided ATV tour in Sedona Canyon! Fun for the whole family, beginners, experts and young drivers are all welcome! 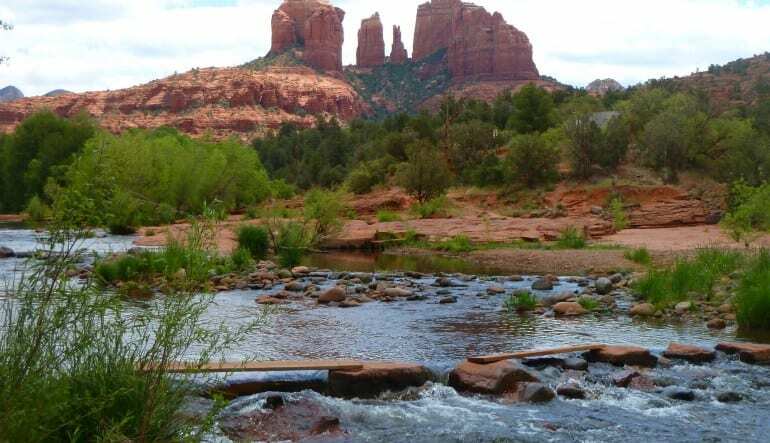 With over a hundred miles of trails to explore your group will have a custom trip designed to meet the experience level of the drivers, the age of the drivers and the interests of what you would like to see. One of the favorites sites of the tour is from the top of Skeleton Bone Mountain where on a clear day the view of Verde Valley 800ft below is truly breathtaking and is a great time to take an amazing family photo. The guides were both outstanding. George, Ian Hiner 's guide, was tops. So knowledgeable, kind and fun. Best time ever! We had a blast. Great fun and awesome views. This was the best birthday present. Didn't feel rushed, the weather, the scenery was perfect. I will definitely do this again in the future.